NOTICES FILINGS TODAY FOR OCT CONTRACT MONTH: 0 NOTICE(S) FOR nil OZ. Just one question: what planet is he on? In silver, the total open interest FELL BY A SMALL 236 contracts from 199,358 DOWN TO 199,122 DESPITE YESTERDAY’S TRADING IN WHICH SILVER ROSE NICELY BY 16 CENTS. AS I WAS PREPARING FOR TODAY’S REPORT I WROTE THE FOLLOWING: “JUDGING FROM THE MASSIVE VOLUME, IT LOOKS LIKE WE DID NOT GET ANY LONG LIQUIDATION BUT AGAIN IT LOOKS LIKE WE GOT A FEW MORE COMEX LONGS TRANSFERRING THEIR CONTRACTS TO LONDON THROUGH THE EFP ROUTE.” I WAS EXACTLY CORRECT AS WE HAD A HUGE 702 DECEMBER EFP’S ISSUED ALONG WITH 84 EFP’S FOR MARCH FOR A TOTAL ISSUANCE OF 786 CONTRACTS. THE ISSUANCE FOR MARCH BOTHERS ME A LOT AS THIS IS SUPPOSE TO BE FOR EMERGENCY IN THE UPCOMING DELIVERY MONTH. I GUESS WHAT THE CME IS STATING IS THAT THERE IS NO SILVER TO BE DELIVERED UPON AT THE COMEX AND THEY MUST EXPORT THEIR OBLIGATION TO LONDON. RESULT: A SMALL SIZED DROP IN OI COMEX WITH THE 16 CENT PRICE RISE. COMEX LONGS EXITED OUT OF THE COMEX AND FROM THE CME DATA 786 EFP’S WERE ISSUED FOR A DELIVERABLE CONTRACT OVER IN LONDON WITH A FIAT BONUS WHICH DEFINITELY EXPLAINS THE FALL IN OI. IN ESSENCE WE DID NOT GET A FALL IN DEMAND IN OPEN INTEREST ONLY A TRANSFER TO OTHER JURISDICTIONS. In ounces, the OI is still represented by just OVER 1 BILLION oz i.e. 0.995 BILLION TO BE EXACT or 142% of annual global silver production (ex Russia & ex China). In gold, the open interest ROSE BY A SMALLER THAN EXPECTED 1,996 CONTRACTS DESPITE THE GOOD RISE IN PRICE OF GOLD ($4.85) WITH YESTERDAY’S TRADING . YESTERDAY’S TRADING SAW NO GOLD LEAVES FALL FROM THE GOLD TREE. THE TOTAL NUMBER OF GOLD EFP’S ISSUED YESTERDAY TOTAL: 6577 CONTRACTS WHICH IS HUGE. THE MONTH OF DECEMBER SAW 5077 CONTRACTS AND FEB SAW THE ISSUANCE OF 1500 CONTRACTS. The new OI for the gold complex rests at 532,781. Result: A SMALLER SIZED INCREASE IN OI DESPITE THE RISE IN PRICE IN GOLD ON YESTERDAY ($4.85). WE HAD A HUGE NUMBER OF COMEX LONG TRANSFERS TO LONDON THROUGH THE EFP ROUTE AS (6577 EFP’S). THERE DOES NOT SEEM TO BE MUCH PHYSICAL AT THE COMEX AND WE ARE APPROACHING THE HUGE DELIVERY MONTH OF DECEMBER. WE ALSO HAD NO GOLD COMEX OI LEAVE THE COMEX GOLD ARENA. 1. Today, we had the open interest in silver FELL BY 236 contracts from 199,358 DOWN TO 199,122 (AND now A LITTLE FURTHER FROM THE NEW COMEX RECORD SET ON FRIDAY/APRIL 21/2017 AT 234,787) DESPITE THE RISE IN SILVER PRICE (A GAIN OF 16 CENTS). 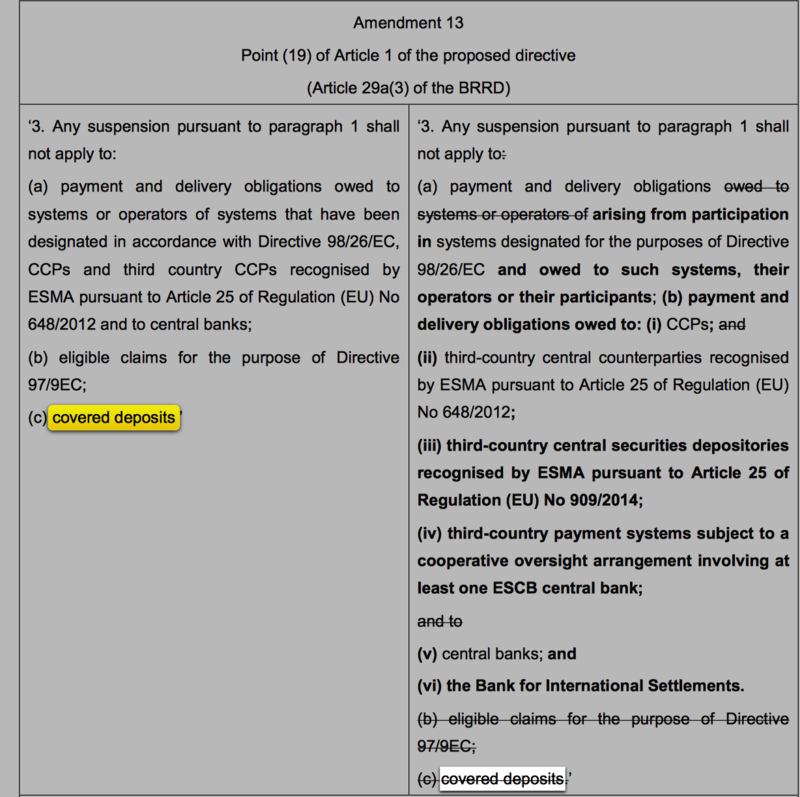 OUR BANKERS USED THEIR EMERGENCY PROCEDURE TO ISSUE 702 PRIVATE EFP’S FOR DECEMBER(WE DO NOT GET A LOOK AT THESE CONTRACTS) AND 84 EFP’S FOR MARCH, WHICH GIVES OUR COMEX LONGS A FIAT BONUS PLUS A DELIVERABLE PRODUCT OVER IN LONDON. THIS IS QUITE EARLY FOR THESE EFP ISSUANCE..USUALLY WE WITNESS THIS ONE WEEK PRIOR TO FIRST DAY NOTICE AND THIS CONTINUES RIGHT UP UNTIL FDN. WE ALSO HAD MINIMAL SILVER COMEX LIQUIDATION. TOTAL EFP’S ISSUED YESTERDAY BY THE CME IN SILVER TOTAL 786 CONTRACTS. RESULT: A SMALL SIZED DECREASE IN SILVER OI AT THE COMEX DESPITE THE 16 CENT RISE IN PRICE (WITH RESPECT TO YESTERDAY’S TRADING). WE HAD ANOTHER 786 EFP’S ISSUED TRANSFERRING OUR COMEX LONGS OVER TO LONDON TOGETHER WITH NO SILVER COMEX LIQUIDATION. 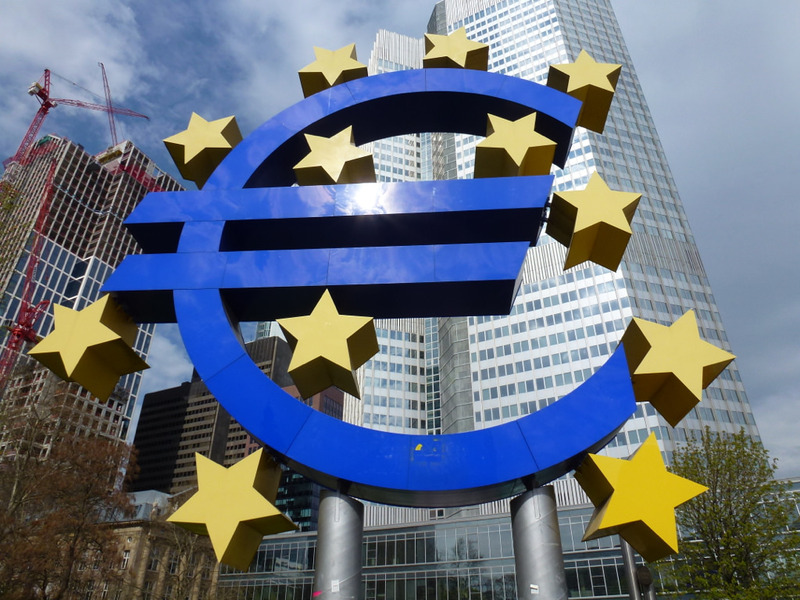 The lower value of the Euro is a catalyst to Germany for growth as this exporting behemoth is certainly taking advantage due to weaker partners in the Euro zone. Its GDP rose at a 0.8% quarter over quarter. Yearly growth is reported at 2.3% and underlying growth at 2.8%,. Very sad: the blockade in Yemen is having a devastating effect on citizens and their economy. i)The IEA throws cold water on OPEC optimism for global demand for crude oil. They state that global oil demand is shrinking and this is after huge stockpiling by China. (David Stockman and R Meijer). Now Charles Hugh Smith comments also on how these guys are in serious trouble. iv)Seems that Turkish citizens are not too enthralled with Erdogan and his economic and governing policies. They have bought the most gold ever as the Lira tumbles. So far in this 2017 year citizens have thought 47 tonnes. Also the Turkish government has also increased its reserves dramatically as in the 3rd quarter they bought over 30 tonnes of gold. v)Koos Jansen provides a great commentary on the 777 tonnes of gold supplied to the citizens of China for the previous 3 quarters. Annualized it looks like China will import over 1,036 tonnes. This gold is not official gold whereby China always buys with USA dollars. All gold produced in China becomes official gold and at last look they mined 430 tonnes of gold. v a)The House tax reform bill will likely pass this Thursday, but the Senate version is now being marked up. To mee it seems hopeless that we will get a tax reform bill passed. v c)Now the senate is proposing to strip the individual mandate from Health care in order to pass the tax bill. It would free up 300 to 400 billion Moderate Republicans will have difficulty in supporting this. No Democrat would vote for this. vi)The IRS is perplexed? Out of 500,000 exchange Coinbase users only 900 reported gains or losses?? The total gold comex open interest SURPRISINGLY ROSE BY ONLY 1996 CONTRACTS UP to an OI level of 532,400 DESPITE THE FAIR SIZED RISE IN THE PRICE OF GOLD ($4.85 RISE WITH RESPECT TO YESTERDAY’S TRADING). OBVIOUSLY WE DID NOT HAVE ANY GOLD COMEX LIQUIDATION. WE HAD 6577 COMEX LONGS EXIT THE COMEX ARENA THROUGH THE EFP ROUTE AS THEY RECEIVE A DELIVERABLE LONDON FORWARD TOGETHER WITH A FIAT BONUS. THE CME REPORTS THAT 5077 EFPS WERE ISSUED FOR DECEMBER AND 1500 WERE ISSUED FOR MARCH. THE OBLIGATION STILL RESTS WITH THE BANKERS ON THESE TRANSFERS. We have now entered the NON active contract month of NOVEMBER.HERE WE HAD A LOSS OF 0 CONTRACT(S) REMAINING AT 71. We had 2 notices filed YESTERDAY so GAINED 2 contracts or 200 additional oz will stand for delivery in this non active month of November. TO SEE BOTH GOLD AND SILVER RISE IN AMOUNT STANDING (QUEUE JUMPING) IS A GOOD INDICATOR OF PHYSICAL SHORTNESS FOR BOTH OF OUR PRECIOUS METALS. The very big active December contract month saw it’s OI LOSE 9,219 contracts DOWN to 291,870 (OF WHICH 5077 WERE EFP TRANSFERS). January saw its open interest rise by 60 contracts up to 864. FEBRUARY saw a gain of 10,239 contacts up to 167,245. Total silver OI SURPRISINGLY FELL BY 236 CONTRACTS FROM 199,358 DOWN TO 199,122 DESPITE YESTERDAY’S 16 CENT GAIN IN PRICE . WE HAD 702 PRIVATE EFP’S ISSUED FOR DECEMBER AND 84 EFP’S FOR MARCH BY OUR BANKERS TO COMEX LONGS WHO RECEIVED A FIAT BONUS PLUS A DELIVERABLE PRODUCT OVER IN LONDON. THIS IS QUITE EARLY FOR THE ISSUANCE. USUALLY WE WITNESS THIS EVENT ONE WEEK PRIOR TO FIRST DAY NOTICE AND IT CONTINUES RIGHT UP TO FDN. WE HAD NO LONG SILVER COMEX LIQUIDATION. THUS THE TOTAL EFP’S ISSUED YESTERDAY TO OUR COMEX LONGS TOTAL 786 AND THUS DEMAND FOR SILVER OPEN INTEREST CONTINUES TO RISE TAKING INTO ACCOUNT THE INCREASE EFP’S ISSUED. The new front month of November saw its OI FALL by 0 contract(s) and thus it stands at 3. We had 1 notice(s) served YESTERDAY so we gained 1 contracts or an additional 5,000 oz will stand in this non active month of November. After November we have the big active delivery month of December and here the OI FALL by 4,284 contracts DOWN to 110,412. January saw A GAIN OF 21 contracts RISING TO 1052. The total number of notices filed today for the NOVEMBER. contract month is represented by 2 contracts FOR 10,000 oz. To calculate the number of silver ounces that will stand for delivery in NOVEMBER., we take the total number of notices filed for the month so far at 874 x 5,000 oz = 4,370,0000 oz to which we add the difference between the open interest for the front month of NOV. (3) and the number of notices served upon today (2 x 5000 oz) equals the number of ounces standing. Thus the INITIAL standings for silver for the NOVEMBER contract month: 874 (notices served so far)x 5000 oz + OI for front month of NOVEMBER(3) -number of notices served upon today (2)x 5000 oz equals 4,375,000 oz of silver standing for the NOVEMBER contract month. This is EXCELLENT for this NON active delivery month of November. We gained 1 contract(s) or an additional 5,000 oz will stand for metal in the non active delivery month of November. 1. Central Fund of Canada: traded at Negative 1.8 percent to NAV usa funds and Negative 1,5% to NAV for Cdn funds!!!! Note: Sprott silver trust back into NEGATIVE territory at -0.77%-/Sprott physical gold trust is back into NEGATIVE/ territory at -0.70%/Central fund of Canada’s is still in jail but being rescued by Sprott. *LAST 206 TRADING DAYS: A NET 59,72 TONNES HAVE NOW BEEN ADDED INTO GLD INVENTORY. What is the world coming to when commodity market analyst and newsletter writer Dennis Gartman of The Gartman Letter (https://www.thegartmanletter.com/) starts relying on GATA for research? Of course a little attribution to GATA would have been courteous, but if The Gartman Letter can acknowledge the surreptitious involvement in the gold market by the BIS and its likely suppressive influence on the price of the monetary metal, the word is probably getting around pretty well these days, even if no financial journalist dares yet question the BIS about what it’s doing and on whose behalf. While this does not necessarily foretell a return to free markets, truth, justice, and the American way as it used to be, it does suggest at least that the totalitarians are slowly being dragged into the open, which is the first step. So Arthur Hugh Clough may have been right. At least Churchill thought so. When daylight comes, comes in the light. Writing over the weekend for the Sharps Pixley bullion dealership in London, market analyst Lawrie Williams confided that he increasingly believes that the gold market is being rigged. Williams wrote that he has been pushed to such a conclusion by the growing number of smashes to the market out of the blue. Williams wrote: “We have just seen yet another instance of a totally insane volume of notional gold hitting the futures markets, surely designed to stop any positive momentum for gold in its tracks. I say ‘insane’ because in a true fair market no one in their right minds would put so much on the market in such a short space of time even if it involves only paper gold rather than actual bullion. Bingo, Lawrie. Yes, the gold industry is the market-rigging industry, a giant real-life episode of “The Emperor’s New Clothes,” where everybody can see what is going on but no one dares say it except a few naive little kids who happened to pass by the parade, were not let in on the scheme, and only gradually deduced its evil and world-encompassing intent. But if they are not scared of being caught anymore, that doesn’t mean that central banks are not still scared — scared of losing control of what used to be markets. 2) Are the documents compiled by GATA from government archives and other official sources asserting such activity genuine or forgeries? 4) If such activity by governments and central banks is for policy purposes, do those purposes involve the traditional objectives of defeating an independent world currency that competes with government currencies and interferes with government control of interest rates and, indeed, interferes with control of the entire economy and society itself? If you get any answers, please forward them to your secretary/treasurer, whose e-mail address is below. Williams might try putting these questions to Sharps Pixley’s own proprietor, Ross Norman, another gold market participant who has a respectable reputation to lose. Seems that Turkish citizens are not too enthralled with Erdogan and his economic and governing policies. They have bought the most gold ever as the Lira tumbles. So far in this 2017 year citizens have thought 47 tonnes. Also the Turkish government has also increased its reserves dramatically as in the 3rd quarter they bought over 30 tonnes of gold. Additionally, as Bloomberg reports, Bar and coin purchases, a measure of investment demand, were 47 metric tons so far in 2017, compared with 14.8 tons in the same period a year ago, according to a report from the World Gold Council published Thursday. The weak lira and “President Erdogan’s pro-gold comments in November last year continued to lend support to the market,” the gold council said. But it’s not just the average Turk who is buying gold, Turkey’s central bank is also buying gold, increasing purchases by 30.4 tons during the third quarter. While the central bank has cited a good old-fashioned diversification policy, some analysts speculated that the country could be shoring up reserves amid rising tensions between Turkey and its traditional Western allies. A year ago, President Recep Tayyip Erdogan urged Turks to prefer gold to the U.S. dollar as a savings vehicle, and asked the central bank to support that policy. And gold is doing exactly what it should do as faith in fiat falters. The question is – just like in India – how long before Erdogan ‘dictates’ an end to gold imports, imposes tariffs, or confiscates the precious metal? Koos Jansen provides a great commentary on the 777 tonnes of gold supplied to the citizens of China for the previous 3 quarters. Annualized it looks like China will import over 1,036 tonnes. This gold is not official gold whereby China always buys with USA dollars. All gold produced in China becomes official gold and at last look they mined 430 tonnes of gold. China Gold Import Jan-Sep 777 tonnes. Who’s Supplying? The chart suggests that Hong Kong is mainly supplying China from its imports (and any gold supplying other countries than China was stored in Hong Kong in previous years or was sourced from scrap). As the imports are correlated to kilobars received in the Brinks vault and kilobars withdrawn are correlated to re- exports to China, both flows seem to be one and the same trade. I don’t know for sure, but I think this is largely true. Next to gold flowing through Switzerland and Hong Kong to China, countries that supplied gold directlyto China this year have been Australia at 20 tonnes (3), the US at 14 tonnes, Japan at 3 tonnes and Canada at 4 tonnes. The UK has practically exported zero gold directly to China this year. Until new evidence shows up my best guess is that China net imported 777 tonnes in the first nine months of 2017, sourced from all corners of the world: the UK, South- Africa, Australia, Switzerland, the US, Middle-East and Philippines. It seems Chinese banks are active all over the world looking to buy gold on the dips. Snapping up physical metal when the time is right. Now who would have thought that the BIS would answer questions surrounding its swapping of gold? Submitted by cpowell on 02:06PM ET Tuesday, November 14, 2017. The Bank for International Settlements today refused to answer questions from the Gold Anti-Trust Anti-Trust Action Committee about the bank’s activity in the gold market. On Monday your secretary/treasurer wrote to the bank’s public information office calling attention to GATA consultant Robert Lambourne’s latest analysis of the bank’s October statement of account involving gold, which Lambourne construed to show a substantial increase in the bank’s use of gold swaps. “Could you please tell me whether this analysis is correct or, if it is in error in any way, how so? “Could you also please tell me the BIS’ purpose and objectives with these gold swaps and with the bank’s involvement in the gold and gold derivatives markets generally? “Many thanks for your e-mail enquiry. “We do not comment on specific accounts / holdings of central banks or of the BIS. Please see our latest annual report for details on gold. 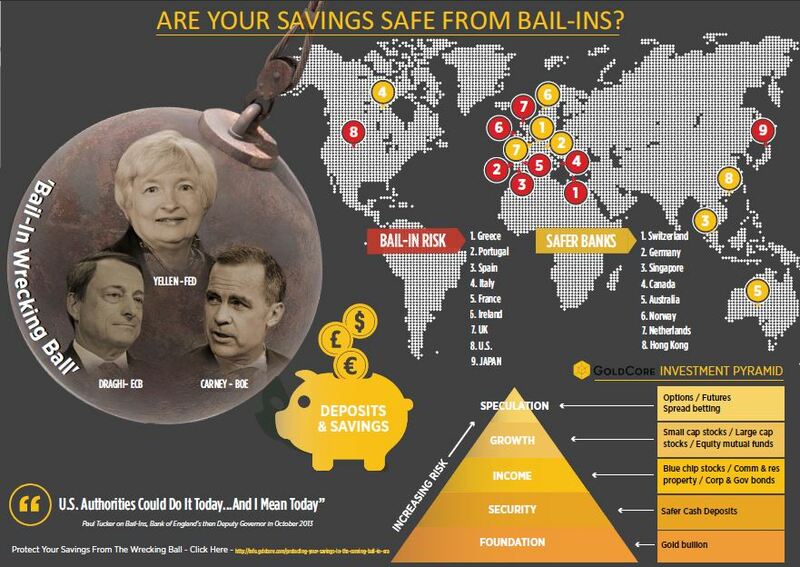 Further information can be gleaned from central banks directly. The BIS’ refusal to respond to GATA and to validate or reject Lambourne’s analysis of the bank’s latest statement of account in regard to gold confirms GATA’s belief that bringing central banks to account and restoring democracy and free markets require financial journalists to find the courage to do their job and the monetary metals mining industry to stand up for itself and its investors. If you know any financial journalists or if you’re invested in any monetary metals mining companies, please forward this to them. 3b Japan 10 year bond yield: RISES TO . +.050/ GOVERNMENT INTERVENTION !!!! (Japan buying 100% of bond issuance)/Japanese yen vs usa cross now at 114.07/ THIS IS TROUBLESOME AS BANK OF JAPAN IS RUNNING OUT OF BONDS TO BUY./JAPAN 10 YR YIELD FINALLY IN THE POSITIVE/BANK OF JAPAN LOSING CONTROL OF THEIR YIELD CURVE AS THEY PURCHASE ALL BONDS TO GET TO ZERO RATE!! 3j Greek 10 year bond yield RISES TO : 5.097??? 30 SNB (Swiss National Bank) still intervening again in the markets driving down the SF. It is not working: USA/SF this morning 0.9947 as the Swiss Franc is still rising against most currencies. Euro vs SF is 1.1663 well above the floor set by the Swiss Finance Minister. Thomas Jordan, chief of the Swiss National Bank continues to purchase euros trying to lower value of the Swiss Franc. … eventually reversing gains as the euro strengthened on German growth data. The euro was up a fifth day, rising above 1.1700 for the first time in nearly three weeks after data showed that German GDP was on track for its best year since 2011, forcing Europe’s Stoxx 600 Index to retreat. The U.K.’s FTSE 100 Index jumped 0.1 percent, while Germany’s DAX Index gained less than 0.05%. Mining companies led the drop, with many commodity prices also falling in the wake of data showing China’s economy moderating. That also weighed on Asian equity gauges, though the Nikkei closed little changed after dropping for four days. The yield on China’s 10-year debt briefly breached 4 percent for the first time in more than three years. China’s CSI300 Index slid as much as 1%, its biggest intraday drop this month, as tech shares lead decline. Sanan Optoelectronics Co. slumps 7% to pace declines on the CSI300 Index; Unigroup Guoxin Co. -5.2% as second-worst performer. Earlier, Asian stocks dropped headed for a third day of declines, as data showed China’s economy is moderating. The MSCI Asia Pacific Index retreated 0.4 percent to 169.44, with telcos and energy producers leading losses. Despite earlyer gains, the Nikkei closed fractionally in the red again as foreigners resumed selling after a record month of buying in October. The Yen pared losses against the dollar, as traders wait on U.S. inflation data from Tuesday and look for progress on the tax reforms. Japan’s Topix dropped 0.3% while South Korea’s Kospi lost 0.2%. Australia’s benchmark index slumped 0.9% after Royal Dutch Shell Plc sold its entire stake in Woodside Petroleum Ltd., sending the latter’s shares down the most in more than a year. According to Bloomberg, Asian equities were taking a pause from a world-leading 2017 rally as traders tuned in to China’s economic data. Numbers released Tuesday show the country’s expansion dialed back a notch as factory output, investment and retail sales all decelerated. “Investors have concerns about a possible fourth-quarter slowdown in China,” said Ronald Wan, chief executive at Partners Capital International in Hong Kong. MSCI Inc. announced the results of its November 2017 semi-annual index review which included the deletion of Qantas Airways Ltd. and the addition of Japan’s Sumco Corp. Elsewhere, and as reported earlier, Venezuela was declared in default by S&P Global Ratings after missing two interest payments on its debt. Indian sovereign bonds fell for a third day, with the benchmark 10-year yield reaching the highest since September 2016, on accelerating consumer inflation data. Bitcoin edged higher after three days falling. The common currency heads for a bullish reversal of its trend since the 2 1/2 year high of 1.2092 hit on Sept. 8 as the short- squeeze started on Thursday gained momentum. Investors that are short the euro see their trailing stops being filled, while short-term accounts were stopped out on Tuesday’s run up to 1.1720 high, traders in London and Europe told Bloomberg. “It is not the dollar that is weak, it is the euro that is strong,” said John Hardy, Saxo Bank’s head of FX strategy. Combined with signs of a move up again in European bond yields, that suggested some traders were back to pricing in an end to the ECB’s stimulus, he said. In geopolitical developments, overnight President Trump tweets: “After my tour of Asia, all Countries dealing with us on TRADE know that the rules have changed. The United States has to be treated fairly and in a reciprocal fashion. The massive TRADE deficits must go down quickly!” Russian PM Medvedev says Russia has stake in peace on Korean Peninsula, as South Korean President Moon calls for enhanced ‘strategic’ dialogue between South Korea & Russia. US House Ways & Means chair Brady says that the GOP leadership is confident that it has votes for passage of tax bill, major changes to house tax bill are unlikely at committee stage. In macro, German growth data pressured investors with short-euro exposure as the common currency hit its strongest level in almost three weeks. The dollar was broadly lower within tight ranges during Asia hours before the weakness grew in the London session. The British pound was tipped lower as inflation missed forecasts, and the dollar broke out of a tight range to weaken as traders continue to weigh the chances of a meaningful tax overhaul. Data from the CFTC released on Monday showed the net short position in the Japanese yen to be the largest since January 2014 and in the Swiss franc to the biggest since December 2016. In rates, yields on 2Y Treasurys hit a fresh nine-year high of 1.6910% on Monday, shrinking the 2s-10s spread to near its smallest since 2007. The trend reflects market bets the Fed’s plans to raise rates in December and two or three times next year will slow the economy. On Tuesday, European bonds turned positive. Aussie bonds were hurt after business conditions printed at highest on record, while China’s sovereign bond selloff reached a fresh milestone, with 10-year yields breaching 4% for the first time in more than three years, before retracing losses and closing back under 4%. Tom Porcelli, chief U.S. economist at RBC Capital Markets, said history suggested a flatter, and particularly an inverted, yield curve was “compelling as an early warning sign” of recession. 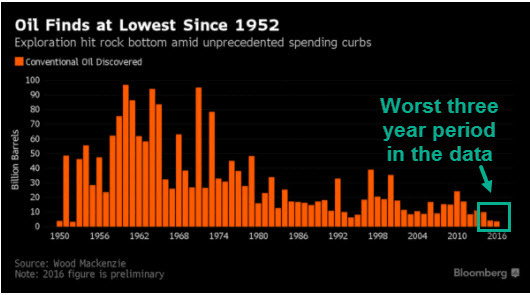 But with the average amount of time it has taken the curve to go from flat to inverted being 18 months and another 18 months to go from inverted to recession, it suggests the expansion still has multiple years in it, said Porcelli. In commodity markets, gold inched down to $1,272.50 an ounce. The metal has stayed broadly within $15 an ounce of its 100-day moving average, currently at $1,277 an ounce, for most of the last month. Oil prices held in a tight range as support from Middle East tensions and record long bets by fund managers balanced rising U.S. production. U.S. crude was off 19 cents at $56.57, while Brent crude futures eased 23 cents to $62.92 a barrel. Mining shares lead the drop amid weakness in commodity prices. Economic data include small business optimism index and PPI readings, while Home Depot and TJX are set to report earnings. German 3Q GDP q/q: 0.8% vs 0.6% est; y/y 2.8% vs 2.3% est. German Nov. ZEW expectations: 18.7 vs 19.5 est; current situation 88.8 vs 88.0 est. In Asian markets, Australia’s ASX 200 fell over 1% at one point settling back below 6,000, with broad based losses apparent as the banks, miners, energy and property stocks weighed, while tech outperformed. The index has moved back from worst levels but closed around 0.9% lower as yet another dual-citizenship based issue led to a senator resigning from her post. Japanese stocks benefitted from Wall St.’s lead and the uptick in USDJPY in early trading, but relinquished its the early gains closing down 0.1%. JGB futures were supported heading in to 5Y supply, with decent demand at the auction underpinning the market. Australian 3-year bond yields were up just shy of 5bps on the day, moving through the 2.0% level following the record NAB Business Conditions print. 10-year Treasury futures consolidated around US session lows. China’s NBS suggested that rising profits and government cost cutting measures are helping firms de-leverage. The body also noted that property de-stocking has achieved obvious results, and it expects the sector to maintain a healthy trend. Finally the bureau stated that the nation’s survey based jobless rate is <5% in October, and that the country has already exceeded its FY job creation total. European equities trade subdued, with much of the volatility coming from individual names. Telecoms outperform amid a strong report from UK listed Vodafone (+4.7%), with IT also trading in the green, being led by Infineon. The Dax was weighed upon following a bullish EUR, where EUR/USD and EUR/GBP trade near session highs. No shock to see Gilts and the Short Sterling strip rebound on the back of softer than expected UK headline inflation, even though the y/y rate remains likely to breach the upper limit at some stage, and probably soon. The 10 year debt future has now jumped around ¼ pt from fresh pre-data session lows of 124.25 to 124.53, while 3 month futures are 0.5-2 ticks ahead vs -0.5 to -4 ticks at worst. Bunds also recovering more poise on the back of their UK bond counterpart and up through the nearest upside chart resistance to 162.16, +8 ticks vs -17 ticks at the Eurex low, but probably in need of some independent buying momentum to make a clean break, especially with more Eurozone data and ECB speakers (including chief Draghi) looming. In FX, volatility has been led by data this European morning, as early EUR strength was seen following strong German GDP figures. Further bullish pressure was seen in EUR/GBP, as UK CPI has been the catalyst of the day, printing at 3.00%, lower than expected resulting in GBP selling. In the AUD, choppy trade, with support coming from an upbeat NAB business survey overnight (sentiment at record highs and outlook improved), but the AUD recovery undermined my more political concerns as another MP was forced to quit on dual nationality grounds. AUD/USD back down in the low 0.7600s having reclaimed 0.7640 at one stage, but AUD/NZD holding 1.1100+ status on Kiwi underperformance (also plagued by political and Central Bank impulses). Sterling mixed after yesterday’s pounding, with Cable back up above 1.3100, but EUR/GBP higher again as Brexit uncertainty persists (UK Minister rates chances of a divorce deal by December as only evens). In commodities, the latest IEA monthly oil market report saw 2017 and 2018 oil demand growth forecast being cut by 100k BPD to 1.5mln and 1.3mln respectively. Trade was light however, with much of the oil volatility seen in yesterday’s session. Iraqi/Kurd oil flows to Ceyhan have fallen to 180k bpd, according to a port agent Gold saw a stop hunt through last Friday’s lows and as such, the selling pressure moved across other precious metal markets, with Silver now looking towards its last Friday lows. After a chilly day yesterday, markets heat up today and tomorrow with China’s monthly data dump just out (see below) and lots of global inflation data out today and tomorrow. We also have an audience with the four most important central bankers in the world at 10am GMT this morning hosted by the ECB in Frankfurt which will be a rare and interesting opportunity to hear from the fantastic four on one stage. However it’s not likely to be ground breaking given that Yellen is soon to be replaced, Draghi is figuratively leaning back deep into his armchair for a few months, Kuroda is unlikely to change course soon (see comments from yesterday below) and Carney is waiting on Brexit developments. Elsewhere UK PM May’s Brexit legalisation (the EU withdrawal bill) is the subject of two days of line-by-line examination in Commons. The debate starts at 12pm GMT so plenty of headlines likely after a weak day yesterday for Sterling (-0.61% vs Dollar, -0.57% vs Euro) post the weekend news that there may be increasing party support for a leadership challenge. In terms of inflation data, ahead of the US CPI tomorrow we get the final October CPI report in Germany (+0.0% mom expected and no change from flash), UK CPI/RPI/PPI for October, and US PPI (+0.2% mom core expected). UK inflation being the most interesting with RPI likely above 4% – the first time since December 2011. We will also get the flash 3Q GDP for the Eurozone (+2.5% yoy expected), Germany (+2.3% yoy) and Italy (+1.7% yoy) too. In the US, the House Ways and Means Chairman Brady appear confident that the House’s version of the tax bill will be passed this week, noting that “we don’t expect major changes” as “a lot of the work’s been done” already. Before that, President Trump is expected to address the full conference of House Republicans this Thursday morning to rally support on tax reform. Elsewhere, the Senate Finance Chairman Hatch said the mark up process of the Senate’s version of the tax bill “leaves us with some work to do in order to make the reforms permanent”, but “we are working to ensure that the reduced (corporate) rates and…reforms designed to bring investments back to the US…remain in place past the 10 year budget window”. Now over to China. Both the October IP (6.2% yoy vs. 6.3% expected) and retail sales (10% yoy vs. 10.5% expected) were softer than expectations, but fixed assets formation was in line at 7.3% yoy. Elsewhere, monthly property sales turned negative for the first time since March 2015, dropping to -1.7% yoy from 1.6%. The slower growth is partly due to monetary and fiscal policies that have become less expansionary. Overall, our China economists maintain their view that GDP growth will slow to 6.6% yoy in Q4 and 6.3% in Q1. T his morning in Asia, markets are trading a bit mixed. The Nikkei (+0.36%) and Hang Seng (+0.05%) are up slightly, while the Kospi (-0.24%) and Chinese bourses (c-0.6%) are down as we type, with the latter partly impacted by softer consumer stocks. Ahead of the fantastic four appearance later today, BOJ’s Kuroda and ECB’s Constancio both sounded a bit dovish on monetary policy yesterday. Kuroda noted that “it’s not easy to quickly dispel the deflationary mindset that has formed over the course of 15 years of deflation” (Sep. core inflation at 0.7% yoy vs. target of 2%). However, with a steadily improving output gap, companies should gradually raise wages and prices. For now, “the bank will continue to persist with powerful monetary easing to ensure that such positive developments are not cut short.” Elsewhere, the ECB’s Constancio reiterated that “the euroarea economy is experiencing a broad-base, robust and resilient recovery”, although he cautioned that “we know this process still relies significantly on our monetary policy support…..it’s not self-sustained yet….we must be patient and persistent”. Staying with central bankers commentaries, the Fed’s Harker has tweaked his expectations for a December rate hike from pencilled in to “lightly pencilled in” and that he would be more confident with three more rate hikes in 2018 if underlying inflation picks up above 2%. On inflation, he reiterated that its “one area that not only continues to elicit caution, it even constitutes a conundrum”, but with a tight labour market, inflation “is likely to reassert itself at some point”. On the Fed’s balance sheet unwind, he believes it will be “utterly uninteresting”. In the UK, the BOE’s Haldane noted that inflation is running well above the 2% target (consensus expects 3.1% yoy for Oct.) and “are expected to remain above target for the next few years”. Further, he noted this was one of the main reason why BOE tightened rates last month, but that “small adjustments” to interest rates were “unlikely to have a significant impact” on the daily lives of most people. Staying in the UK, when Brexit Secretary Davis was asked by the Head of BusinessEurope Ms Marcegaglia on whether he thought a breakthrough for Brexit talks can be achieved by December, Davis was said to have noted that “there was a 50/50 chance of getting a deal” without elaborating more. Now onto markets performance for yesterday. US bourses nudged up c0.1% (S&P & Nasdaq +0.10%, Dow +0.07%) ahead of a bumper week in terms of CPI and tax plans. Beneath the surface, GE shares dropped 7.17% after the new CEO announced turnaround plans which included lower FY18 earnings guidance, dividend cuts for the second time since 1938 and plans to divest $20bln of assets to shrink the group to 3 core business lines (power, aviation and healthcare). European markets were broadly lower, with the Stoxx 600 down (-0.66%) for the fifth consecutive day – the longest run since May, with all sectors excluding consumer staples modestly in the red. The softness was partly impacted by weaker corporate results, with French utility company EDF down 10.39% after lowering its 2018 guidance. Across the region, the DAX (-0.40%), CAC (-0.73%) and FTSE (-0.24%) all fell modestly. Notably, the VSTOXX remains close to a one month high after slipping 0.49% yesterday, while the VIX rose 1.86% to 11.50. Over in government bonds, core 10y bond yields were little changed (UST +0.7bp; Bunds +0.6bp; Gilts -1.3bp), but peripherals outperformed, with Spanish and Portugal yields down 4.0bp and 7.1bp respectively. Turning to currencies, the US dollar index gained 0.13% while Euro was virtually flat and Sterling weakened 0.61% as mentioned earlier. In commodities, WTI oil was broadly flat (+0.04%) and precious metals strengthened (Gold +0.25%; Silver 1.02%) post the modest risk off bias. Elsewhere, copper gained 1.40% partly due to increased optimism on global demand while other base metals were little changed (Zinc +0.08%; Aluminium +0.06%). Away from the markets, the latest IMF World economic outlook report has upgraded the economic growth outlook for the Euro area, with 2017 now expected to be 2.1% yoy (+0.5ppt from April), 2018 at 1.9% (+0.3ppt) and 2019 at 1.7% (+0.1ppt). The agency noted “the strengthening domestic-demand-driven recovery in Europe has boosted global trade,” and that “Europe’s contribution to the growth of global merchandise imports in 2016-17 is similar to that of China and the US combined”. Finally, the latest ECB holdings were released yesterday. Net CSPP purchases last week was €1.73bn and Net PSPP purchases €12.78bn. This left the CSPP/ PSPP ratio at 13.6% last week (13.6% over last 4 weeks vs. 11.5% before QE was trimmed in April 2017). 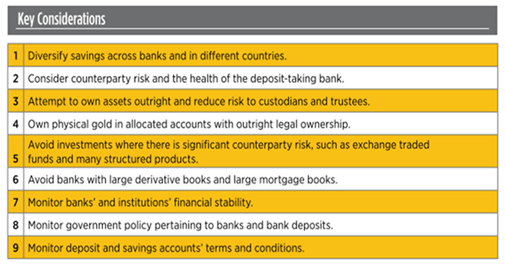 We still think the ECB will likely keep CSPP relatively unscathed when they halve their APP in January. Before we take a look at today’s calendar, we wrap up with other data releases from yesterday. In the US, the October monthly budget statement was bigger than expected at -$63.2bln (vs. -$59.0bln). Over the past three months federal receipts are little changed yoy, weighed down perhaps by storm-related weakness in August and September. In the UK, the November Rightmove house price index was up 1.8% yoy (vs. 1.4% expected), but prices in London fell 2.4% yoy. In Spain, the number of home sales rose 11.0% yoy in September. Looking at the day ahead, a packed 24 hours from start to finish. The data highlights will likely be the final revisions to October CPI reports in Germany and the UK, Q3 GDP for the Euro area (second reading), US PPI for October and the late evening release of Q3 GDP in Japan. Away from the data the ECB’s Draghi, Fed’s Yellen, BoE’s Carney and BoJ’s Kuroda are all scheduled to participate on a policy panel hosted by the ECB. Also scheduled to speak throughout the day are the Fed’s Bullard, Evans and Bostic and the ECB’s Coeure and de Galhau. If that wasn’t enough then politics will also get its fair share of attention with President Trump due to attend the East Asia Summit and UK PM Theresa May’s Brexit legislation the subject of two days of examination in the House of Commons. i)Late MONDAY night/TUESDAY morning: Shanghai closed DOWN 18.29 points or .53% /Hang Sang CLOSED DOWN 30.06 pts or 0.10% / The Nikkei closed UP 0.98 POINTS OR 0.00%/Australia’s all ordinaires CLOSED DOWN 0.80%/Chinese yuan (ONSHORE) closed UP at 6.6378/Oil DOWN to 56.52 dollars per barrel for WTI and 62.85 for Brent. Stocks in Europe OPENED RED EXCEPT LONDON . ONSHORE YUAN CLOSED UP AGAINST THE DOLLAR AT 6.6378. OFFSHORE YUAN CLOSED WEAKER TO THE ONSHORE YUAN AT 6.6431 //ONSHORE YUAN STRONGER AGAINST THE DOLLAR/OFF SHORE STRONGER TO THE DOLLAR/. THE DOLLAR (INDEX) IS WEAKER AGAINST ALL MAJOR CURRENCIES. CHINA IS VERY HAPPY TODAY. German GDP growth for Q3 2017 printed at 0.8% Q/Q, easily beating the consensus estimate of 0.6%, which was in line with growth in the previous quarter, driven by fixed capital formation amid stable household and government consumption. While year-on-year GDP growth was reported as 2.3%, the underlying growth was 2.8% after adjusting for calendar effects. The data confirmed that German growth was on track for its best year since 2011, and pushed the EUR higher for the fifth day, rising above 1.1700 for the first time in 3 weeks. Germany’s Federal statistics office noted that the stronger-than-expected growth was driven by exports and capital investment. Spending on equipment was reported to be particularly strong. With hindsight, this shouldn’t be that much of a surprise as both “hard” and “soft” indicators – especially in the manufacturing sector – have shown accelerating momentum in 2017. The September manufacturing PMI reading for September 2017 of 60.6 was a 77-month high and printed at the same level in October 2017, implying that the momentum has carried forward into the last quarter of the year. However, if there was one small negative in today’s German data, it was the ZEW Indicator of Economic Sentiment: for November 2017, the expectations indicator rose 1.1 points from 17.6 the previous month to 18.7, below the 19.5 consensus. While Germany has long been an engine of expansion for the euro area thanks to robust domestic demand and striving exports, the rest of the region is finally catching up. Differences in growth rates between member states have shrunk to the smallest in the region’s history and the European Commission said last week that the 19-nation region will grow this year at its fastest pace in a decade. The International Monetary Fund said on Monday that strengthening growth across the European region – which includes the euro area as well as developing economies in the central and eastern part of the continent – is spilling over into the rest of the world. The brighter prospects accounted for the bulk of the upward revision to its global outlook in October. Chancellor Angela Merkel entered the final stretch of preliminary talks to form a new government, with factions in the complex multi-party negotiations remaining far apart. Any decisions taken by the future coalition partners on whether to cut taxes or funnel more money into education and digital infrastructure will impact Germany’s growth prospects. The rate of economic expansion over the next two years looks set to exceed the pace that’s sustainable in the long term. Saudi Arabia is at risk of becoming a major destabilizing influence in the Arab world, German intelligence has warned. At the core of this intelligence warning was none other than crown prince Mohamed bin Salman, or MBS. I’ve been warning about the specific dangers presented by his brazen and sociopathic personality for years, and the recent purge finally threw it all into the spotlight for everyone to see. MBS has already wreaked havoc on portions of the region with his reckless and failed polices with respect to both Yemen and Qatar. 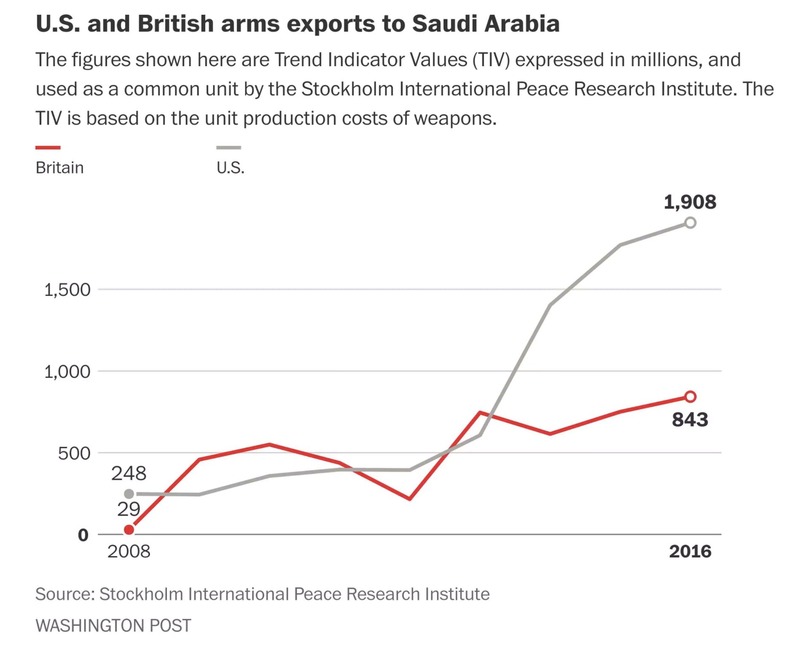 Today’s post will focus on the humanitarian catastrophe unfolding in Yemen, courtesy of the Saudi crown prince. Since then, the Saudis have opened the port of Aden and a crossing at Wadea, but this is woefully inadequate. On Friday, the UN office for the coordination of humanitarian aid, OCHA, said the coalition was still blocking desperately needed UN aid deliveries to Yemen, despite the reopening of Aden and Wadea. “Humanitarian movements into Yemen remain blocked,” said OCHA spokesman Russell Geekie. UN aid chief Mark Lowcock told the Security Council this week that unless the blockade is lifted, Yemen will face “the largest famine the world has seen for many decades, with millions of victims”. Yemen “is suffering the world’s worst humanitarian crisis, with more than two-thirds of its population in need of humanitarian assistance”, he said in a statement. “The EU shares the concerns expressed by… Lowcock and calls for full and unrestrained access to be restored immediately, to avoid Yemen suffering the largest famine in decades,” Stylianides said. Meanwhile, many of the cretins in Congress can’t be bothered to answer questions about Yemen. Unconstitutional war that could create the worst famine in decades? Meh, I’m too busy trying to figure out how to provide tax breaks to oligarchs. After all, who cares, there’s just too much money to be made from war. If that’s not MAGA, then I don’t know what is. It always makes sense when you follow the money. He has begun to exhibit the familiar traits of an ambitious 21st-century autocrat in the mold of President Recep Tayyip Erdogan of Turkey. The story seemed far-fetched, but Saudi Foreign Minister Adel al-Jubeir said the attack out of Yemen may be considered an “act of war” — by Iran. And as war talk spread across the region last week, Riyadh ordered all Saudi nationals in Lebanon to come home. Riyadh has now imposed a virtual starvation blockade — land, sea and air — on Yemen, that poorest of Arab nations that is heavily dependent on imports for food and medicine. Hundreds of thousands of Yemeni are suffering from cholera. Millions face malnutrition. It seems like finally Zimbabwe’s military is beginning to have some sense,something that should have perhaps happened 20yrs ago.The culture of allowing leaders to turn countries into personal property should never be tolerated!! The IEA throws cold water on OPEC optimism for global demand for crude oil. They state that global oil demand is shrinking and this is after huge stockpiling by China. Pouring cold water on yesterday’s optimistic demand forecast projected by OPEC, which projected global crude demand growth to rise by 1.5mm b/d in 2018, this morning the International Energy Agency warned that the crude oil price rally could be short-lived because, contrary to OPEC’s expectations, global oil demand will be weaker than expected this year and next. In its closely watched monthly oil report, the IEA cut its crude demand growth outlook by 100,000 barrels a day for 2017 and 2018, as the WSJ reported. The agency now expects demand to grow by 1.5 million barrels a day this year and 1.3 million barrels a day next year. In this scenario, time is running out for Saudi Arabia’s free-spending royalty and state – and for all the other free-spending oil exporters. “I think the Saudis may be quickly running out of profitable oil to produce/export. I think they may have recently slipped over the event horizon for being the world’s swing producer of ‘cheap-ish and abundant’ oil. That has huge ramifications for the global markets ability to quickly respond to supply/demand fluctuations. 1. The days of sticking a straw in the sand and oil gushing out are long gone. Oil production now depends on costly technologies such as pressurizing the wells with seawater, CO2, etc. 2. The soaring population of Saudi Arabia is dramatically increasing domestic consumption of the Kingdom’s oil, reducing the amount of oil available for export. 3. The industry is skeptical of official Saudi estimates of proven reserves and production capacity. 1. As B.D. posited, Saudi production is already flat-out, and there is no million-barrel-per-day slack that can be brought online to depress global prices, crushing competitors and maintaining control of crude prices. In other words, the Saudis no longer have the technical / production capability needed to control global oil pricing– a power that they’ve enjoyed since 1973. 2. Saudi production is declining due to technical/real-world factors (depletion of super-major fields, etc.) that cannot be overcome at a financial cost that make sense at $50/barrel oil. 3. The possibility of a global recession unfolding in 2018 is rising. In a global recession, oil demand will fall, crushing the marginal pricing power of exporters. 4. The Saudi royal family and the Kingdom’s vast state welfare system is no longer sustainable should oil fall into the $30-$35/barrel range due to a collapse of global demand. 5. The only way out is to grab the power now that will be needed to slash domestic welfare and domestic consumption of oil/gas, i.e. the power to overcome resistance within the royal family to severe reductions in royal/central state budgets. Geopolitically speaking, very few if any oil exporters are able to prosper and fund their regional/global ambitions if oil plummets to $35/barrel and stays there for years. Every oil exporter makes brave statements about being just fine with $25/barrel oil, but the reality is every major oil exporter is dependent on oil revenues of a scale that can only be generated at $50/barral and up. The discovery of new oil fields has fallen far below global consumption. 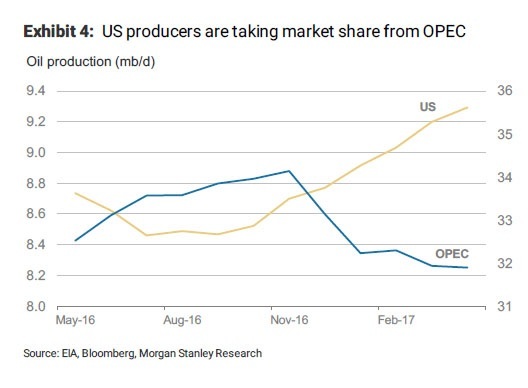 Meanwhile, U.S. producers have taken market share away from OPEC exporters, effectively reducing their influence over prices, as U.S. producers are to some degree the marginal swing producers. The costs of exploration and production changed around the turn of the 21st century. 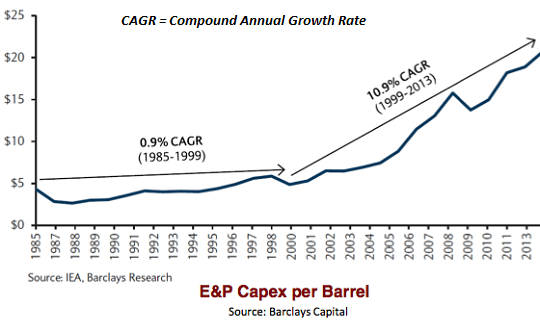 The cost of discovering, extracting, refining and transporting new oil have increased dramatically. All this suggests oil will have to become more costly for it to make financial sense to produce it. But as B.D. observed (and analyst Gail Tverberg has explained in great detail), oil-consuming economies will be pushed into stagnation/recession by significantly higher oil prices. In this scenario, time is running out for Saudi Arabia’s free-spending royalty and state – and for all the other free-spending oil exporters. As a global recession looms ever closer, every oil exporter edges closer to the event horizon of financial, social, and political disorder and upheaval. Venezuela is just the first domino that’s toppling. The Saudi leadership is trying to avoid being in the line of oil exporting dominoes that will fall in the 2018 global recession. WTI/RBOB prices tumbled today on demand outlook cuts (and late comments from Brazil and Russia with regard OPEC cuts) ahead of tonight’s API report which is expected to show crude and gasoline draws. However, WTI/RBOB prices extended their losses as Crude (biggest in 9 months) and Gasoline saw significant builds. “I can’t play games with the size of the debt I have,” Parente says when asked if Brazil’s state-run producer would ever consider such an action. Says Brazil’s government doesn’t have the power to impose production limits on companies operating in the country, including Petrobras. and Bloomberg reports, OPEC has yet to convince Russia that it’s necessary to reach an agreement to extend oil-output cuts at a Vienna meeting later this month, as officials and oil bosses in Moscow still haven’t decided how long the output deal should last. The world’s largest energy exporter still believes it’s too early to announce anything this month, two people with knowledge of matter said. Another issue is a duration of the extension, with options including an additional three months of cuts being considered. USA dollar index early TUESDAY morning: 94.24 DOWN 25 CENT(S) from YESTERDAY’s close. Yellen warns “valuations are at the high end of ranges” but tax cut details diss stocks. Is the largest public pension fund in the United States getting ready to dump about $50 billion worth of stocks? According to a new note from Bloomberg, CalPERS’ board is meeting for a workshop today in Sacramento to discuss asset allocations for the upcoming year which could include a doubling of the fund’s bond allocation from 19% to 44% which would be funded with a massive $50 billion sell down of equities. Unfortunately, as we’ve noted before (see: CalPERS Board Votes To Maintain Ponzi Scheme With Only 50bps Reduction Of Discount Rate), a shift toward higher fixed income allocations may require a simultaneous decrease in the fund’s discount rate assumptions which could drastically increase contribution requirements from various public employers all around the Golden State. Of course, while a more conservative asset allocation may be warranted in the current bubbly equity environment, often logic is quickly dismissed by politicians when it’s implementation could expose a massive ponzi scheme that has been hiding in plain sight for decades and risks the financial solvency of local and/or statewide government entities. This battle between math/logic and politicians has played out numerous times in states all across the country and somehow we suspect that “math/logic” will continue to lose…better to bury your head in the sand for a couple of more years and pretend there is no problem. With Special Counsel Robert Mueller reportedly preparing to make another round of arrests in his probe into the Trump campaign’s efforts to “collude” with Russia, House and Senate Republicans – not to mention President Donald Trump – will be thrilled to learn that Attorney General Jeff Sessions might soon appoint a second special counsel to investigate allegations of corruption and self-dealing involving several prominent Democrats and Obama-era officials, including Bill and Hillary Clinton. For months now, President Trump has encouraged Sessions to appoint a special prosecutor to investigate the Clintons. Those calls grew louder – and were joined by several senior Republicans in Congress – after it was revealed that the DNC and the Clinton campaign jointly financed the infamous “Trump dossier” – which contained several salacious claims that the FBI reportedly used to justify launching the original investigation into collusion between the Trump camp and Russia back in July 2016. Those calls only intensified further after the Hill reported that the FBI had launched an investigation into corruption surrounding Russia’s efforts to gain control over a stockpile of Uranium based in the US – uranium that was owned by the Canadian company Uranium One and represented 20% of total uranium assets in the US. That investigation led to the arrest of the most senior official of the US subsidiary of Rosatom, the Russian state-backed nuclear agency. Yet, for some unknown reason, the FBI neglected to inform Congress of the investigation. Several months after the arrest of the Russian, then-Secretary of State Hillary Clinton voted to approve the sale of the Uranium One assets to Rosatom. Around the time she voted ‘yes’ on the deal, her husband Bill Clinton received a $500,000 speaking fee from Kremlin-aligned Alfa Bank, while the Clinton Foundation received more than $100 million in donations from Russia-affiliated entities. As we’ve long maintained, the Clintons have just as many – if not more – connections to the Russian government than Trump and his affiliates. And given the recent revelations about Don Jr’s contact with Wikileaks and Carter Page’s freelance trips to Moscow, it’s about time that these connections were brought into full public view. One of the most accurate polls last time around. But #FakeNewslikes to say we’re in the 30’s. They are wrong. Some people think numbers could be in the 50’s. Together, WE will MAKE AMERICA GREAT AGAIN! The House tax reform bill will likely pass this Thursday, but the Senate version is now being marked up. To me it seems hopeless that we will get a tax reform bill passed. The House is expected to vote on and, hopefully, pass its tax reform package on Thursday, but the Senate’s plan still hasn’t made it out of committee. Luckily for the Trump administration – which badly needs this legislative victory to stave off a donor mutiny – this could soon change: To wit, the Finance Committee has started the process of ‘marking up’ the bill, that is, the process of adding amendments and making alterations. But the process still needs to run smoothly if McConnell is to meet his deadline of starting floor consideration the week after Thanksgiving. Every day, the chances that the bill will pass by the administration’s year-end deadline appear to dim, something evidenced by the murmurs about trying to convince a Democrat or two to break ranks and support the Trump plan. “The first day of the Senate Finance Committee hearing featured Republicans and Democrats exchanging jabs over the proposal to slash corporate taxes and reduce individual rates, while closing some tax breaks. The House is expected to pass its version of the bill Thursday as Republicans seek to put a bill on President Trump’s desk by year’s end. It’s a heavy lift, given the tight time frame and differences between the chamber’s bills, though so far Republicans are hitting their marks. Senate Finance Committee Chairman Orrin Hatch (R-Utah) sought to highlight aspects of the measure that Democrats have supported in the past, including its preservation of some individual tax breaks and changes to the international tax system. And in one hint at which side may win out in the battle over the soul of tax reform, the JCT reported that the Senate’s plan to rewrite the tax code would go much further than a competing House proposal toward making good on Republican promises to focus on the middle class, a new report shows, Politico reported. The markup process will continue Tuesday, when lawmakers will question JCT officials and potentially begin to discuss amendments. Lawmakers have submitted some 355 amendments, though not all of them will be considered. A notable one from Orrin Hatch would make unspecified changes to ensure the bill doesn’t add to the deficit after 10 years. The legislation can’t increase the deficit outside of the budget window if Republicans want to pass it with only a simple majority. Republicans also sought to rebut Democratic criticisms that they were shut out of the drafting process and that the bill benefits the rich. However desperate, recruiting support from some Democrats could be key. Interestingly, the Hill reports that no Republican senators have said they oppose the bill. And while that’s technically true, at least four Republicans have said they oppose the House plan, and have expressed misgivings about certain elements of the senate proposal. For example, John McCain has said he wouldn’t vote for any bill that didn’t have some measure of bipartisan support. And while Republicans are making a nominal effort to reach out to Democrats, nobody expects even Red State Dems like West Virginia’s Joe Manchin III to break ranks over tax reform. Also, Sens. Jeff Flake and James Lankford have expressed concerns about how the legislation might bloat the debt, while Sens. Marco Rubio and Mike Lee are pushing for a bigger child tax credit. There are many discrepancies between the House and Senate tax plans. But these are the two largest: That the Senate bill would delay the corporate tax rate cut until 2019, while the House bill has the cut take effect more immediately. And the Senate bill also repeals the full state and local tax deduction, while the House bill retains a property tax deduction of up to $10,000 to appease enough blue-state Republicans to pass the bill. And so far, it appears both sides remain firmly committed to their respective versions of the bill. House Ways and Means Committee Chairman Kevin Brady has made it clear that he will fight to keep the $10,000 property tax deduction in the final bill. Others in the Senate have sharply criticized the SALT deduction, arguing that it’s tantamount to a subsidy when the low-SALT states can’t deduct as much from an itemized return. The Hill claims that Trump could complicate the process of passing the bill by injecting himself into the debate, like he did again Monday by proposing that the final legislation include repeal of ObamaCare’s individual insurance mandate and lower the top individual tax rate to 35%. Case in point: Steven Mnuchin told the Wall Street Journal that the Trump administration wouldn’t support tax legislation with a corporate tax rate of more than 20% as part of any future compromise between the House and the Senate. The House bill maintains a top individual tax rate of 39.6 percent, while the Senate bill lowers the top rate slightly to 38.5 percent. Neither bill repeals the individual mandate. In another case of mixed messaging surrounding the contents of the bill, GOP lawmakers say they’re still considering including individual mandate repeal in the tax legislation, but Brady also said he doesn’t expect major changes to the House bill before it comes to the floor. Trump badly needs a win on tax reform following the embarrassing death of the Obamacare repeal-and-replace bill in the Senate earlier this year. In an effort to rally the troops, president will address the House GOP conference Thursday morning, ahead of the chamber’s vote. Now we wait to see if Paul Ryan is forced to reschedule the vote at the last minute, like he has done so many times already this year. US equities just legged lower – led by tech-heavy Nasdaq – after Ways & Means Committee Chair Kevin Brady confirmed that The House Tax Bill will keep SALT deductions, implicitly lowering tax revenues (and thus a potentially smaller corporate tax cut). Now the senate is proposing to strip the individual mandate from Health care in order to pass the tax bill. It would free up 300 to 400 billion Moderate Republicans will have difficulty in supporting this. No Democrat would vote for this. In what is emerging as the latest potential stumbling block for the passage of GOP tax reform, on Tuesday afternoon Senate Majority leader announced that the Senate tax bill will include language to repeal ObamaCare’s individual mandate, a move which could make passage prolematic as it could withdraw support from moderate Republicans. According to The Hill, Conservatives led by GOP Sens. Ted Cruz, Rand Paul and Tom Cotton pushed hard to include the provision, which would eliminate the federal penalty on people who do not buy health insurance. The move, if passed, would free up an estimated $300 billion to $400 billion over the next year that could be used to pay for lowering individual and business tax rates even further. According to McConnell, adding the individual mandate repeal would make it easier to muster 50 votes to pass the bill, although many others disagree. “We’re optimistic that inserting the individual mandate repeal would be helpful and that’s obviously the view of the Senate Finance Committee Republicans as well,” McConnell said. Allaying concerns that the revision would lead to a dealbreaker, Senator John Thune, the Senate’s No. 3 Republican, told reporters there has been a whip count and he is confident Republicans can pass a tax bill that includes a measure to repeal the mandate. Thune said the Alexander-Murray bill, aimed at stabilizing markets, would be brought up separately. That bill funds key payments to insurers for two years in exchange for more flexibility for states to change ObamaCare rules. Republican members of the Senate Finance Committee had met Monday night to discuss the repeal issue, Republican aides told The Hill. The full Senate GOP caucus discussed the idea at its lunch meeting on Tuesday. Sen. John Kennedy (R-La.) said the bulk of the GOP’s policy luncheon Tuesday was focused on repealing the individual mandate through tax reform. While he admitted that the decision wasn’t unanimous, he said that no one threatened to vote against tax reform if it were included. “This is totally different from health care. Nobody was standing up saying ‘if you do this, I’m not going to vote for the bill.’ There’s none of that. Everybody wants to get to yes,” he said. Still, it’s a risky gambit if it alienates more than just 3 moderate republicans as it would make the bill’s passage impossible. Kennedy said the savings could “give relief to those middle and upper middle tax payers who are not getting as much relief as they should” because of the bill’s elimination of state and local tax deductions. Meanwhile, in a note released earlier Tuesday, Goldman’s economist team said that tax reform debate is moving forward faster than Goldman, or most other observers expected, and as a result the bank boosted its odds that tax reform will be enacted by early 2018 to 80% from 65%. Even so Goldman said it still sees challenges that may slow or stop bill, including push-back from affected industries, narrow vote margin in the Senate, keeping cost under $1.5trillion limit, although it said that recent positive developments appear to outweigh those risks. It was not clear how Goldman feels about including Individual mandate repeal as part of the Senate bill. The IRS is perplexed? Out of 500,000 exchange Coinbase users only 900 reported gains or losses?? Almost exactly one year ago, the IRS realized that it could be leaving billions of dollars on the table in the form of uncollected taxes, and launched a tax-evasion probe on the largest US Bitcoin exchange, Coinbase, seeking to identify all Coinbase users in the U.S. who “conducted transactions in a convertible virtual currency” from 2013 to 2015. Meanwhile, both Coinbase and bitcoin have exploded. Whereas Coinbase had under 5 million users last November when the IRS filed its lawuist, as of last week it had 12.2 million users, deploying 41 million virtual currency wallets in 32 countries that have so far exchanged $40 billion in digital currency. The price of bitcoin hit a record high just under $8,000 at the start of November, more than 10x higher than in November 2016. The biggest problem, however, and the reason why the IRS is unlikely to relent is that as the IRS said, it detected a “reporting gap” between the 500,000 virtual currency users Coinbase reported between 2013 and 2015 and the less than 900 bitcoin users reporting gains or losses for each of those years. That would imply that less than 0.2% of coinbase users bothered to report anything on their tax forms. One can see why the IRS is angry. And, worse for those who believe they will be able to get away with their cryptoprofits unscathed by Federal Taxes, following last week’s hearing, a federal judge is poised to allow a limited investigation into those gains to proceed over the company’s objection that the agency is on “a massive fishing expedition” meant to make itself look tough in the eyes of its critics in Congress, according to Bloomberg. “It’s legitimate for them to investigate whether people are making money on their bitcoin purchases” and paying taxes on any gains, U.S. Magistrate Judge Jacqueline Scott Corley in San Francisco told lawyers for Coinbase at a hearing last Thursday. “I have to give tremendous discretion to the agency as to how they investigate,” she added later. Coinbase was not impressed. Mike Lempres, the company’s chief legal and risk officer said after the hearing that the company can’t negotiate with the IRS about a “forward-looking, rational reporting system” so long as the agency is suing it. Such discussions aren’t possible “because we’re in this tussle with them where they are improperly searching for private information of our customers with no evidence of wrongdoing,” Lempres said. He declined to comment on Corley’s pending ruling before the company has seen a final order in writing. Last year, the IRS persuaded Corley last year to order Coinbase to approve its summons for customer records from 2013 to 2015 for an investigation into whether taxpayers failed to report income. Coinbase resisted, and negotiations between the company and the agency resulted in a narrowed request for information about 8.9 million transactions and 14,355 account holders. Coinbase argued Thursday the inquiry remains unreasonably broad. While lots was said of bitcoin’s drop over the past 4 days, much of attributed to suspension of the controversial Segwit 2x fork which was originally due in mid-November, some are wondering if a key catalyst for the price drop wasn’t the latest court ruling, although it in itself should have little impact on trading decisions: after all, at this point it’s a binary outcome: either the IRS will have access to all those who made money trading the crypto… or it won’t. In retrospect, it will be interesting to find out, if only based on the number of IRS submissions, how many of the over 12 million bitcoin accounts have actually made money trading cryptos. We will soon find out. Following September’s hotter-than-expected Core PPI (and 5Y high in PPI), October was expected to see a modest slowdown but headline PPI printed a massive 2.8% YoY (smashing the 2.4% exp). This is the hottest PPI since Jan 2012, driven by surges in fuel prices and drugs. Nearly half of the increase in prices for final demand services can be attributed to margins for fuels and lubricants retailing, which surged 24.9 percent. Almost half of the rise in the final demand goods index was the result of higher prices for pharmaceutical preparations, which increased 2.1 percent. December rate-hike odds were at 97.1% right before the PPI print.